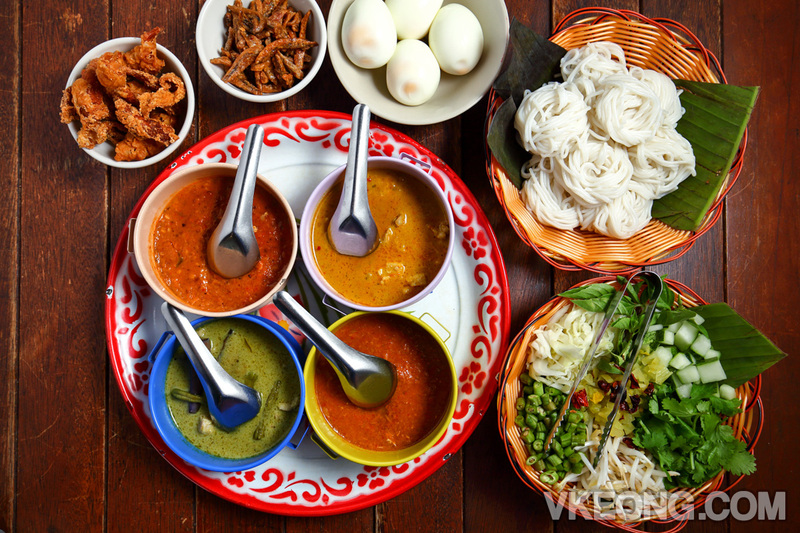 Khanom chin, or khanom jeen is a type of thin rice noodle that resembles a thicker version of rice vermicelli. The texture is somewhat different though, as it tastes smoother and bouncier, kind of similar to laksa noodle. Because of that, khanom jeen is simply referred to as Thai Laksa in some northern states of Malaysia such as Penang and Kelantan. Among the many Thai restaurants in Klang Valley, Baan Kanom Jeen is probably the only one that specializes in khanom chin. Tiki Taka, Fusion Tapas, Medan Damansara Interview with Aiden Lee, Lobbee Thai Connection, Empire Damansara Baan Rim Pa, Royal Thai Restaurant, Patong, Phuket, Thailand Baan Rao Home-Style Thai Recipes @ Petaling Jaya Kompassion Thai Fusion Restaurant, Damansara Kim Sevencups, Empire Damansara (Damansara Perdana) Sparkling thai affair@Erawan Classic Thai & Fusion, Kota Damansara Nippori @ Empire Damansara PJ – Homecooked Japanese Food. Ekkamai @ Jalan Batai, Damansara Heights KL – Marvelous Thai Feast. PLOY @ Clearwater Damansara Heights KL – A Japanses Thai Fusion Party.